Does mcnerdy belong in this group? Does miflaco belong in this group? Nature Lover I enjoy being out in nature. I respect the grand views and harmony one finds in nature. I love it! Does starlightshine belong in this group? Does devin21 belong in this group? Does bonpolala belong in this group? Does theotherside45 belong in this group? Does kushbadger belong in this group? Does longshanks28 belong in this group? 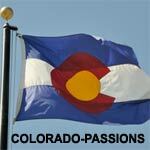 Colorado born and raised I was born and raised in Colorado and have always loved the state. An adventure is always awaiting whether you're in the cities, mountains, plains, etc. Does callmesnake belong in this group?